Direct primary care, sometimes referred to as concierge medicine, may sound like a relatively new form of practicing medicine, but it is actually a return to “the old days” when doctors were paid just like a cobbler or blacksmith. Today, direct primary care works when a doctor decides to stop taking insurance and instead charges cash upfront. For a flat monthly fee of anywhere between $50 to $100, usually much less for children) individuals can receive unlimited access to care from a general physician. Because these doctors are being paid by the month rather than per visit, their salaries remain unaffected whether they see a particular patient once a year or once a day. 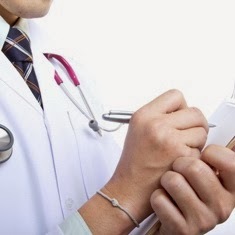 Thus, doctors are able to reduce their patient lists from 2,000 to 300, reports MD News. This provides better doctor and patient interactions as doctors are freed up to spend anywhere from a half hour to a full 60 minutes per patient on average. And because insurance companies are no longer involved, the cost of lab work and other supplies can drop. For Dr. Doug Nunamaker, a concierge physician in Kansas, this means that he can purchase a cholesterol test for $3 rather than the usual $90 bill that an insurance company would receive, writes CNN Money. All of this news might have you researching MDVIP direct primary care options for your own family. And though a direct primary care plan will still have to be supplemented with major medical insurance for emergency hospital stays, this reborn form of traditional care might be part of the answer to the current healthcare crisis in America. Jessica Socheski is a freelance writer currently researching MDVIP direct primary care options. You can follow her on Twitter.